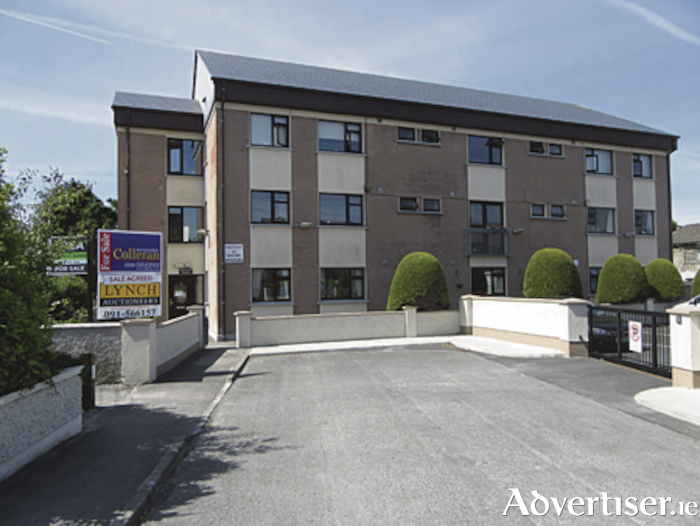 While property prices have increased considerably over the past three years, it is now very rare to find a property for sale in Salthill for as little as €95,000, no matter how small it is. Colleran auctioneers has just placed on the market for sale by private treaty No 4 Montrose House, Whitestrand Park, Salthill, Galway. This small ground floor studio apartment is in need of total renovation, but is within a small block of very well managed and maintained apartments. Montrose House has had considerable money invested in it in recent years, including a new roof and solar panels which provide all year round hot water and heating, all included in the annual management fee of €1,600. Located less than five minutes from Salthill Promenade and adjacent to a large green area, this studio apartment will certainly be of interest to everyone looking to get a foot on the property ladder, those looking for an investment where they can add value, or anyone looking for safe, secure, accommodation for their children to live while attending college in Galway.